Happy first birthday, Holly Berry! 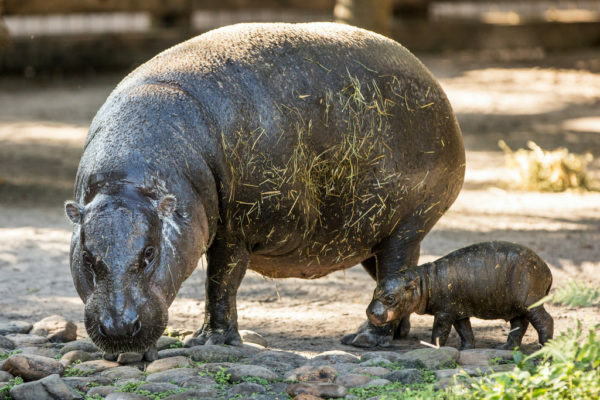 Last December, ZooTampa at Lowry Park and The Hyppo, a gourmet ice pop company with several stores in the Tampa Bay area, partnered on a contest to name the Zoo’s newest baby girl, a rare pygmy hippopotamus – the winning name was Holly Berry. They partnered once again to celebrate Holly’s first birthday. Members of The Hyppo production team assisted the Zoo’s commissary team to create special enrichment for Holly Berry. Enrichment encourages natural behaviors and exercise. It provides stimulation for the senses and mind, while engaging animals socially. Hippo-sized ice pops were created using fresh cantaloupe, watermelon and honeydew. The Zoo’s Africa team, who provide daily care to the pygmy hippos, carefully placed the giant pops inside her habitat. Guests were invited to celebrate the special day with The Hyppo’s delicious pops, carolers, giveaways and more! 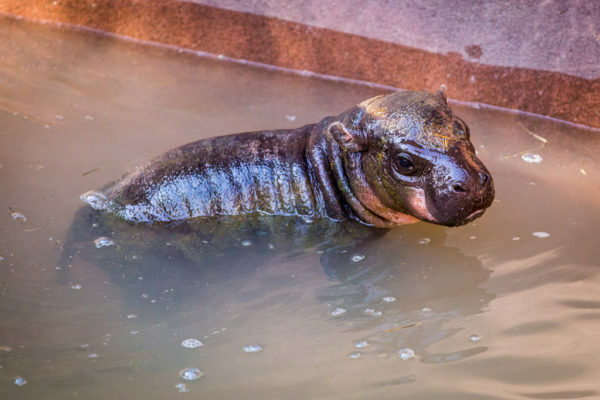 The endangered pygmy hippo was born at the Zoo in the early morning on Dec. 1, 2017. With less than 40 pygmy hippos in the Species Survival Program, this newborn is a rare gift for the Tampa community. Pygmy hippos, as their name implies, are smaller than their Nile hippo relative. Guests can see Holly Berry in her habitat in Ituri Forest located in Safari Africa. 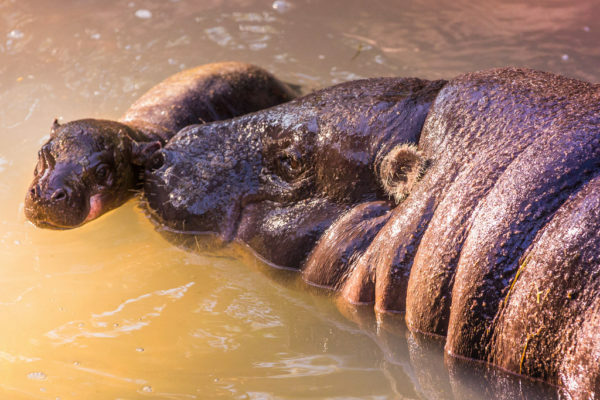 Visitors can help ZooTampa care for hippos by adopting a hippo. The funds raised go to animal care and conservation efforts.